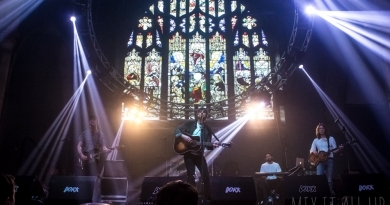 On Monday evening, Southsea’s Pie and Vinyl brought London/Glasgow based Shopping to the intimate space that is The Loft as part of their European tour. The band were supported by local bands You’re Smiling Now But We’ll All Turn Into Demons, Dad Hair and Oh San Deu completing what turned out to be a top lineup for a Monday evening. First up was minimal, electronic solo artist Oh San Deu who started the evening off in a more mellow manner, one part slow synth pop to one part powerful, emotion-filled ballads. Although briefly complaining that he was coming down with a cold, you’d have never have guessed with that vocal performance. Post-punk, psych-noise trio Dad Hair picked up the pace for the evening with something pretty much the opposite. 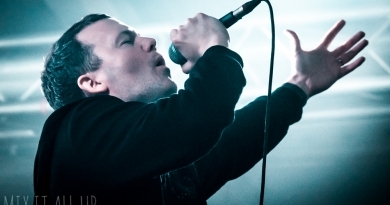 The band put on an brash, immense live performance with a persistent grunge-y edge. Hypnotic, repetitive melodies were tangled into their tracks are what drove their music even through the few and far between calmer moments. 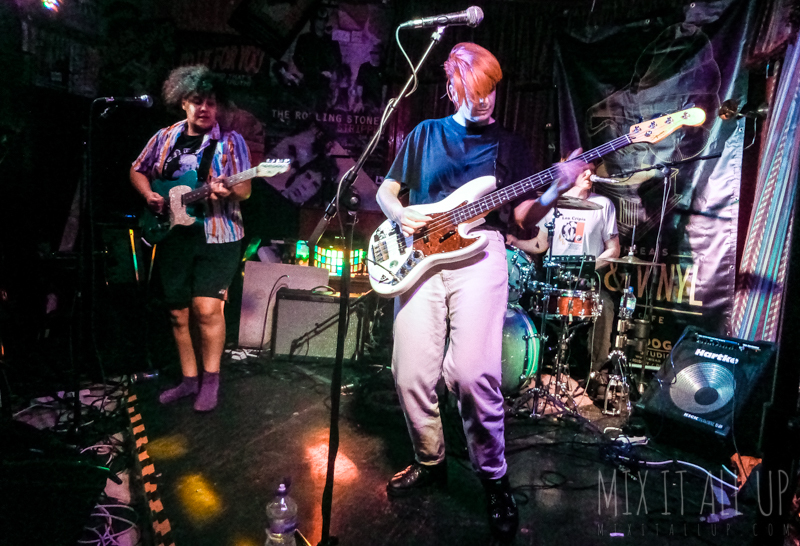 Longstanding Southsea band and also catchily named psych-rock quartet You’re Smiling Now But We’ll All Turn Into Demons set was crammed full of colourful, riff-laden tracks. Keeping the vocals to a minimum (although you couldn’t hear them much when they were there) the band focused mostly on their impressive, melodic jams. The band ended their set with a super-long, mesmerizing, mostly instrumental track bringing their set full of psych-rock madness to an epic end. 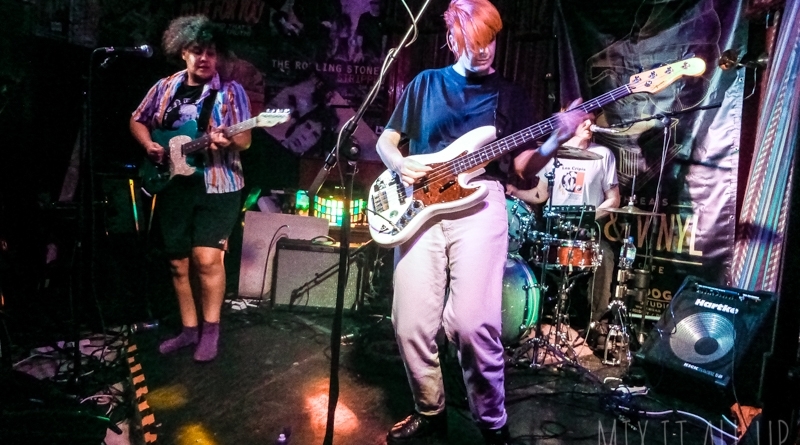 Tinged with surf-rock undertones, plenty of catchy melodies and somewhat punk-y dual vocals, Shopping‘s music is feel-good but their live performance just gives it another edge. 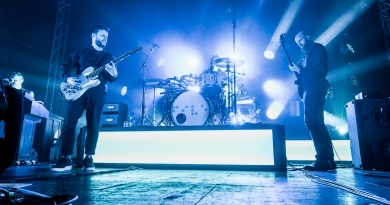 Fun, infectious and urgent riffs drove their energetic live performance and kept everyone on their toes for a Monday night, most definitely bringing the party to Southsea. Shopping’s buoyant dance-punk is boundary pushing in all ways possible, certainly vibrant and definitely not to be missed out on.